What Water Filter/System is Right for Me? Many people ask us how they can determine what sort of drinking water filtration system they ought to have installed in their home or office. We respond to each inquiry in the same manner: Find out what you have in your water first, then choose an appropriate drinking water filtration system. In simpler terms this means we ALWAYS suggest that consumers test their water, or have it tested, before making a purchasing decision. 2) Obtain a home drinking water test kit such as the WaterSafe City Water Test Kit drinking water test kit or the SenSafe Water Quality Test Kit from a local retailer or a reputable online vendor such as the Water Test Kit Store, FiltersFast.Com, or FilterWater.Com. Important Note: While at-home water quality test kits provide reasonable piece of mind when it comes to monitoring the safety and purity of your drinking water, if you have serious reason(s) to suspect your water may have gotten contaminated you will definitely want to have your water tested by a certified drinking water professional. Common types of water filters? For most people (on municipal/city water sources) one of three types of water filters will handle their water filtration needs: 1) Carbon block; 2) Sediment; and 3) Multi-Stage. Conveniently, companies like Crystal Quest, a leading manufacturer of home and drinking water filters manufactures a full line of filters in styles that include countertop, undersink and whole house — each designed to address specific water improvement needs. 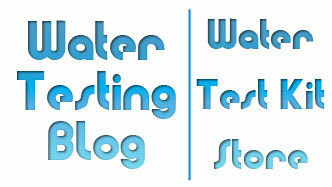 Therefore it certainly behooves homeowners to test their drinking water prior to purchasing a water filtration system. 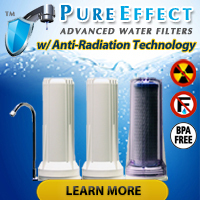 Otherwise they run the risk of purchasing too much filter for your drinking water (i.e. wasting money!) or not enough filter for your water quality situation (i.e. still having water quality issues!). « If I Drink Tap Water, Should I Use a Filter?